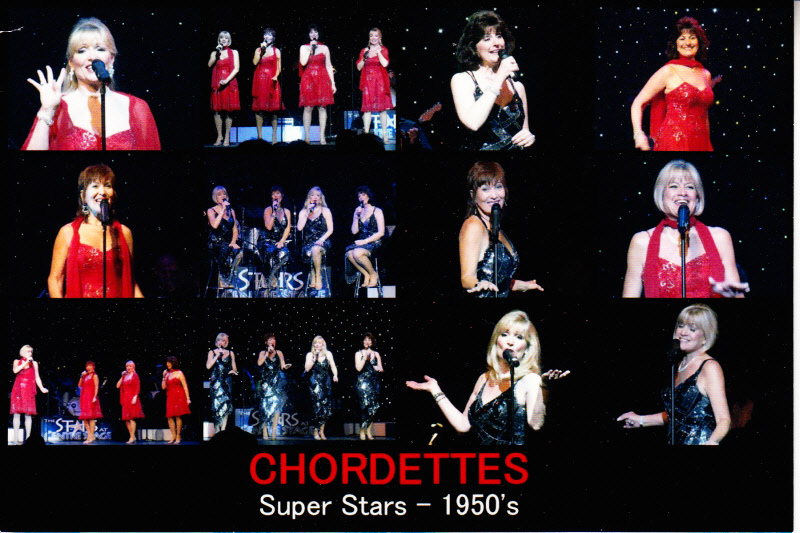 Mr. Sandman, Lollipop, Never On A Sunday, Eddie My Love...all songs made famous by The Chordettes. In 1946, The Chordettes premiered on The Arthur Godfrey Show, and their lush vocal sound brought them a string of hits turning them into a singing sensation! 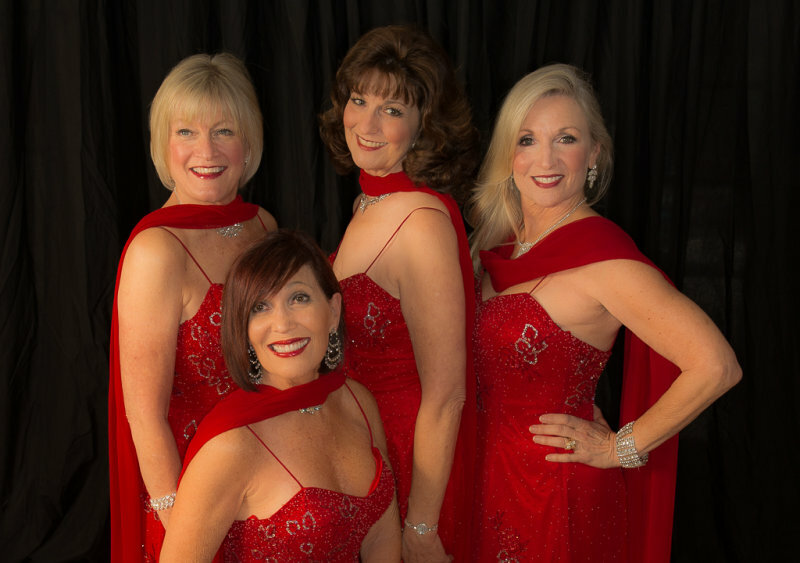 Forty years later, Judy Duncan and her husband Bob decided to bring back those musical memories and reorganized the group into the current New Chordettes. 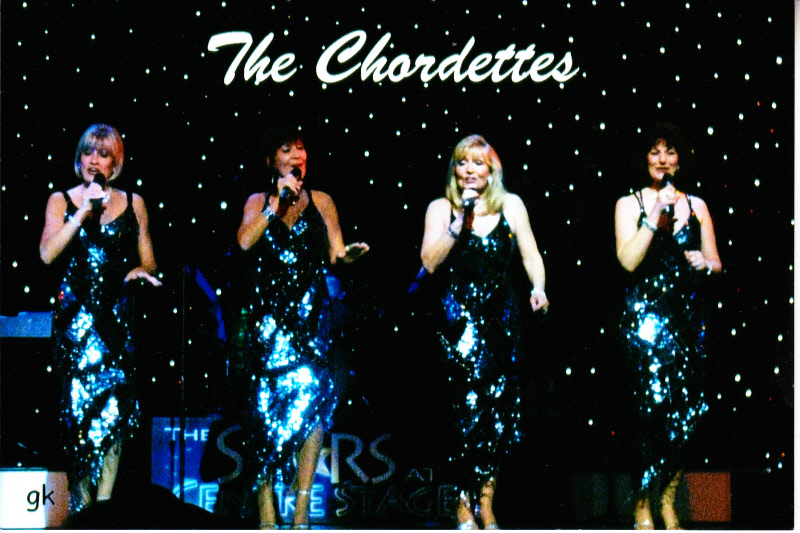 With beautiful costumes, elegant choreography, slick and sassy comedy, audience participation and silky harmonies, The New Chordettes create four-part and solo vocal magic that leave every audience wanting more! 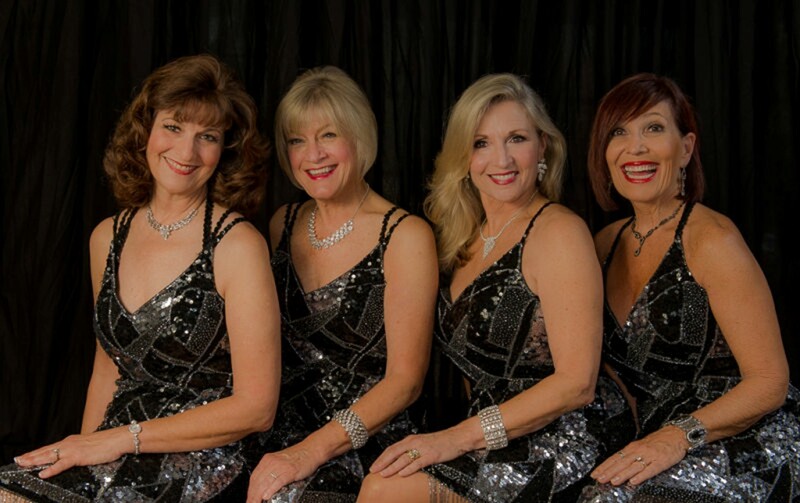 They bring a rich taste of The Big Band era with such standards as In The Mood, Begin The Beguine, Stardust and Boogie Woogie Bugle Boy. 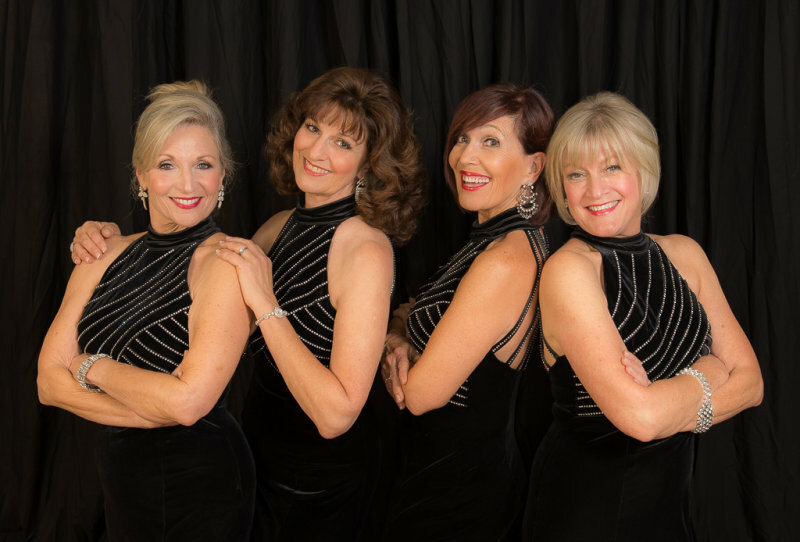 These lovely ladies have recreated the original sound of the great 50’s and 60’s girl groups with songs by The Shirelles, The McGuire Sisters, The Supremes and many others. Their harmonizing and doo-wopping is a trip down nostalgia lane – a collection of poodle skirts, cat-eye glasses and the girls in love with the guys in love with their cars. 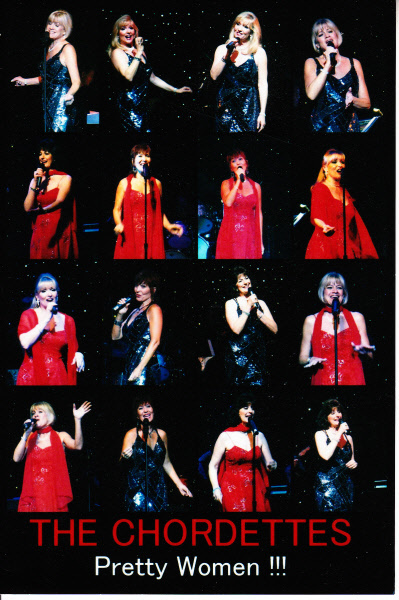 Each Concert is full with hit songs reminiscent of a bygone era. Roars of laughter are heard as the girls sing to unsuspecting but delighted men in the crowd. They sit on laps, rub bald heads and leave many as surprised audience member red-faced but with a beaming smile. 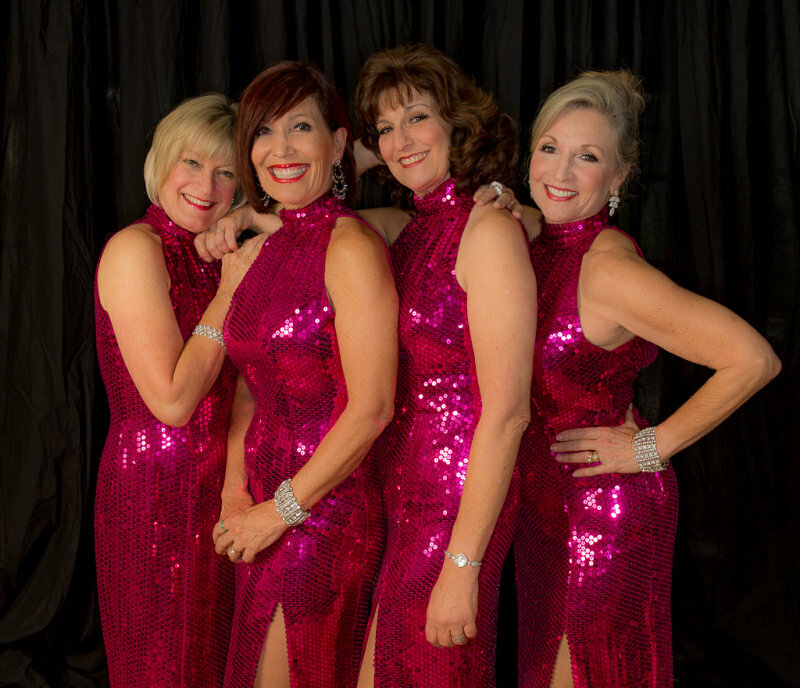 Whether it’s fox trotting at an elegant black tie event, or bopping at a 50’s sock hop, audiences all around the world are clapping, laughing, dancing and singing along with ….